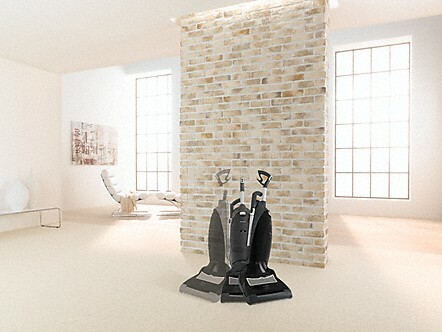 The outstanding filtration of Miele vacuum cleaners is the result of a filtration system consisting of the innovative Miele AirClean dustbag, a motor protection filter and a Miele exhaust filter. 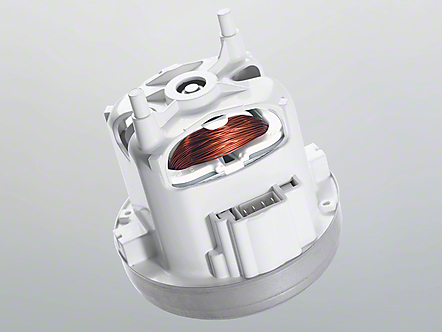 The way these components complement each other ensures that more than 99.9% of fine dust is filtered out. You can breathe again! 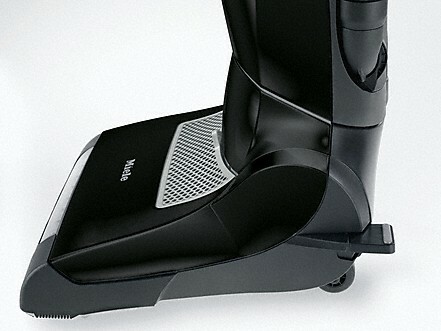 Miele Upright vacuum cleaner with integrated electrobrush and LED lighting for the highest standards. "Powered by its own motor, the beater bar rotates at a steady speed and applies uniform pressure – independent of the selected suction power." 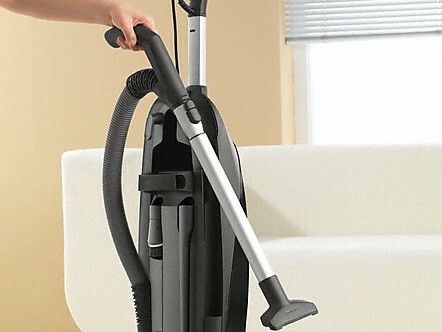 The rotation ensures intense deep action and thereby particularly thorough cleaning of heavily used, robust carpeting. "Heavily trodden paths" across carpets are avoided. The electrobrush can be switched off, making it suitable for smooth floors too. 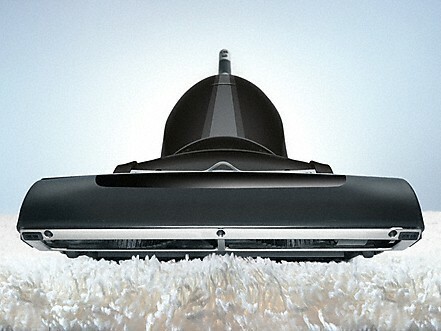 The brush roller of the integrated "Power Plus" electrobrush is spring-loaded, allowing it to automatically adjust to the pile of the carpet. This ensures perfect cleaning results all the time. 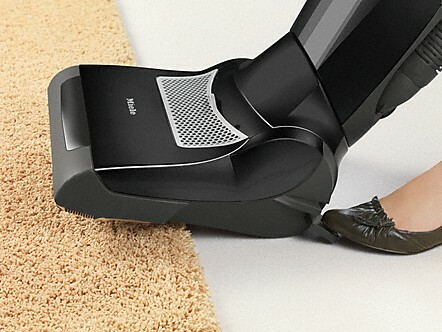 The electrobrush is equipped with a footswitch for easy transition over carpet edges. Thanks to its stable base, the Dynamic U1 can be parked securely without tipping over. The roller brush switches off automatically when parked and stationary to protect the surface it's on. 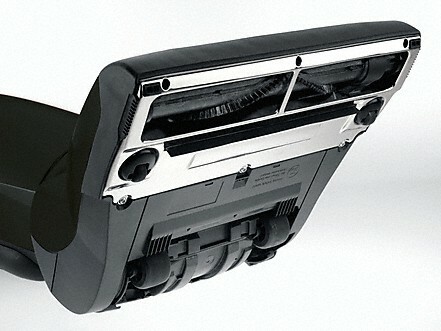 The Dynamic U1 is equipped with SwivelNeck™, a unique double-jointed swivel. 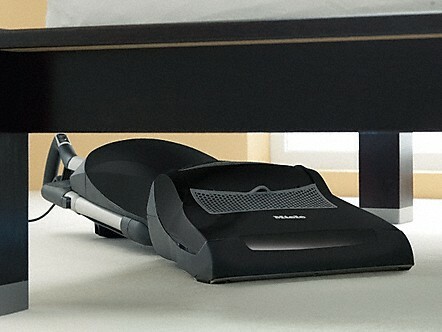 This makes it surprisingly agile and easy to maneuver over and around obstacles. 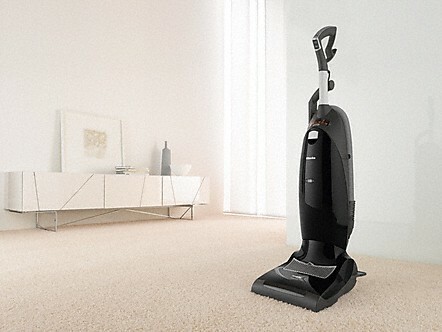 The Dynamic U1's SwivelNeck™ feature and slender body make it possible to vacuum under furniture with ease. 33 ft. (10 m) long cable, telescopic tube and flexible suction hose: The Dynamic U1 has an operating radius of 54 ft. (14 m). 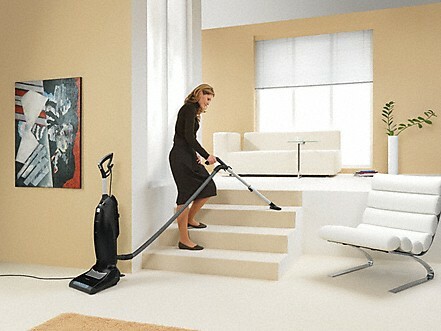 This allows you to vacuum large areas without effort as there is no need to frequently change sockets. 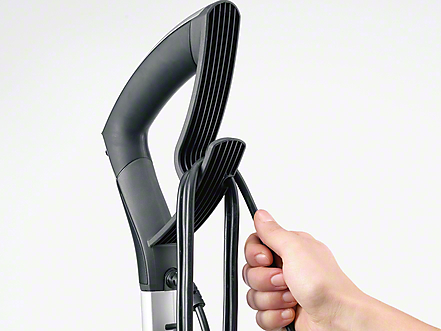 Two cable hooks as well as the practical cable clip secure the supply lead to the casing – tidy and always at hand. When work starts the wire can be released quickly by turning the lower wire hook upwards.